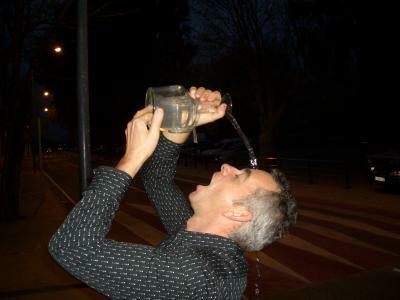 Have a comment on Mediterranean diet? 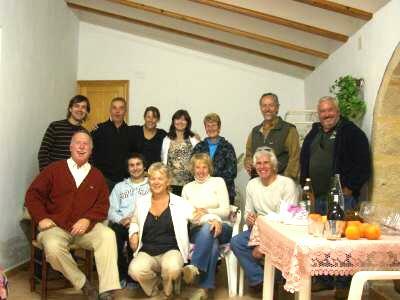 It all started with a ‘Welcome’ letter we found in our post box from Jaume, a young man from Benitachell village. 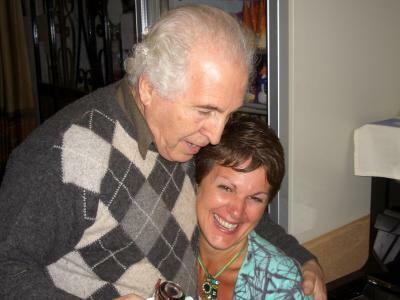 He stated in the letter that he would like to start a forum for people new to the area. Jaume and his business partner Miguel Angel would assist new residents with tax, NIE applications, public health care and educational issues, etc. 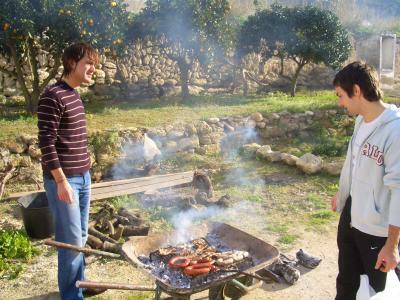 From this introdution letter, we contacted Jaume and he invited us and some of his friends to a traditional Valencian style bbq. 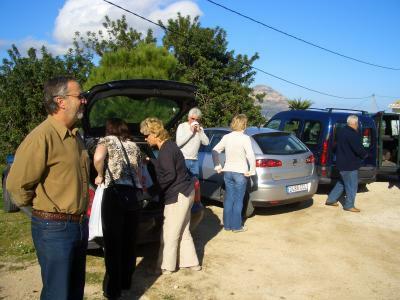 We all met in the Mas y Mas car park at 12.00h on a sunny Sunday in Benitachell. 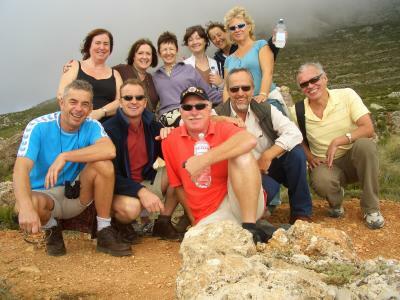 We were introduced to Keith and Sheila, Rolf and Erika and also our party of six, Ian & Diane, Hilary & Nick, Dawn & Steve. 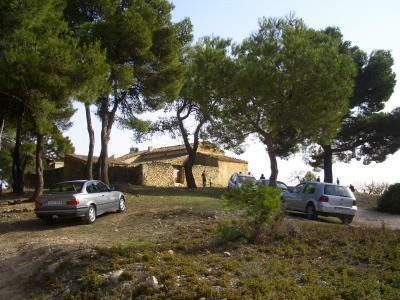 The drive to Jaume’s casa de campo was only 2 minutes away and we were all soon sampling the home made sweet wine made by Jaume’s father and the raisins, made from their own grapes and dried in the summer sun. 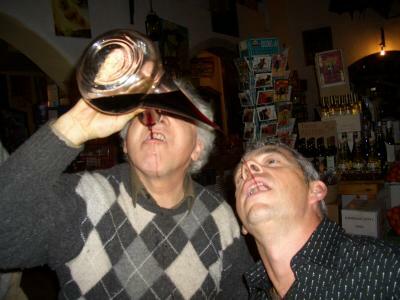 It was a mixture of 70% sweet muscatell wine and 30% red wine. 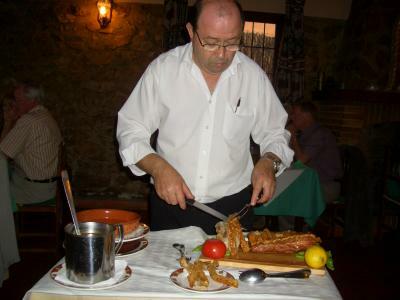 Jaume pointed out that everything we were going to eat was made with organic produce, chuletas de cordero (lamp chops) home baked bread and locally made chorizos, morcilla or botifarra in Valenciano, (liver and blood sausages). 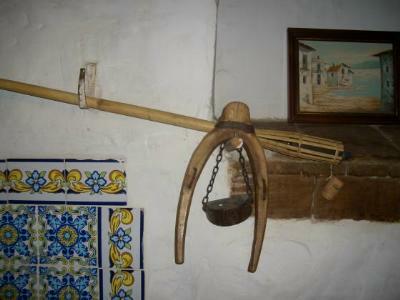 A wheel barrow was loaded in the front garden with wood from grape vines, orange trees and the protected carob tree. 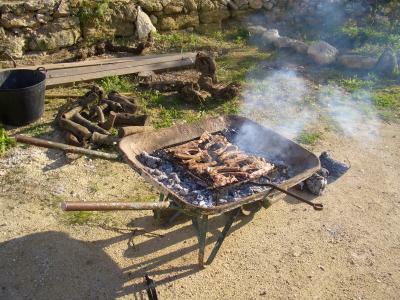 Normally there is a hole in the ground, where a wood fire is prepared and a large calderon (pot) is placed filled with lamb, chicken or pork. 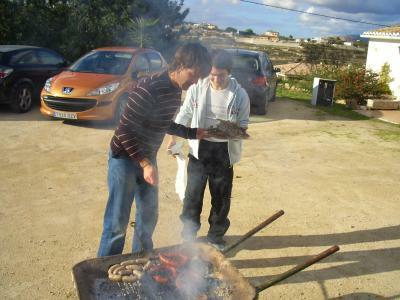 Left for many hours to cook slowly over the fire and to absorb the smokey flavours. 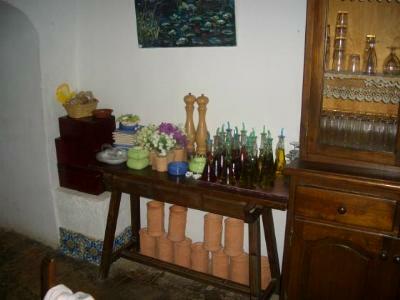 Another oven in the casa, was also filled with the same types of wood and then both of the fires were lit. 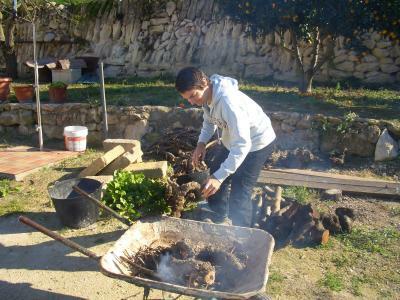 We sat in the warm December sun as Miguel Angel arrived to assist Jaume in the preparation and cooking. 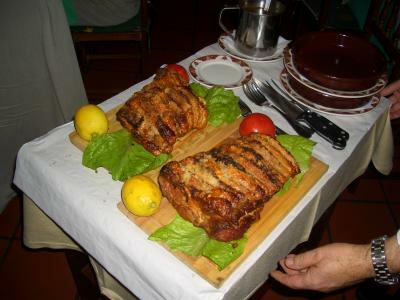 The lamb was rubbed with salt and the onions, artichokes and chorizos were cooked in home made olive oil. When the fires were glowing nicely, the food was cooked to perfection. 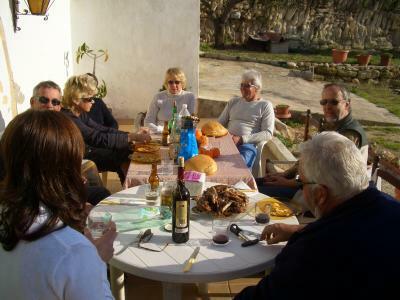 The home made bread was broken into pieces and the feast began. 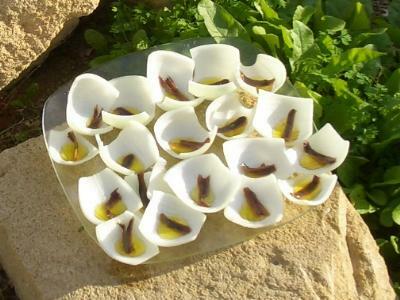 Large slices of onion were filled with anchovies and olive oil, cooked over the fire, perfect dunking the chunks of bread into, a Benitachell specaility. 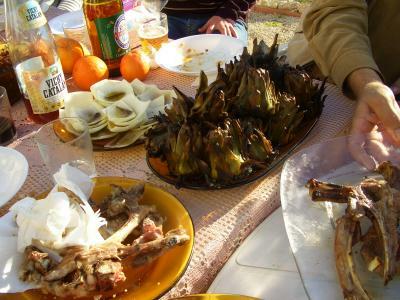 The artichokes hearts were flavoured by the smoke and the taste and texture was wonderful. As we enjoyed the food and wine with Jaume and Miguel Angel, we chatted about the various topics on the Valencian culture, diet and laungage. 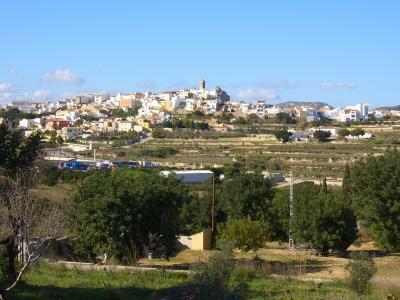 Many people living in Benitachell were forced to speak Castellano during Franco’s dictatorship and they are now unable to read or write in their mother tongue. Benitachell or Benitatxell, spelt the Valenciano way, used to be in the region of Javea, however some 300 years ago, the villagers decided to create their own region and town so they founded the ‘Poble Nou de Benitatxell.’ We retreated to the large family casa’s naya room, as the winter sun lost it’s warmth, to end our enjoyable day with melon, desserts and glasses of Baileys. 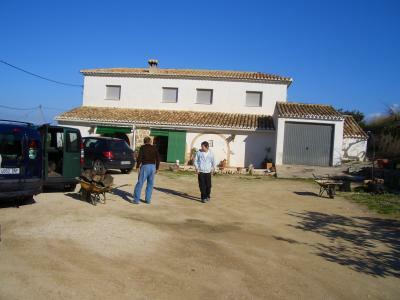 May we all say a big thank you to Jaume and Miguel Angel, for their hospitality and for giving us the opportunity to sample and taste the flavours of Valenciano life. 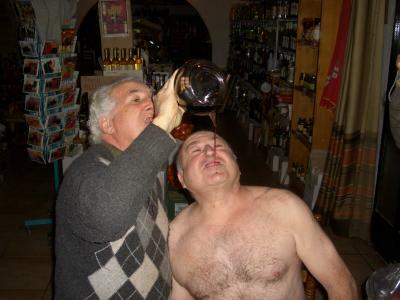 If you would like more information on the services provided by these two enterprising men, you can contact them by telephone, email or go to their offices in Benitachell. Assesorament comptable, fiscal i laboral. 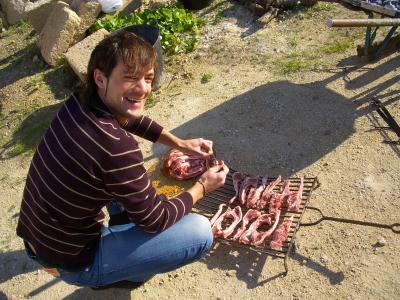 Have a comment on Poble Nou de Benitatxell, BBQ? Another day in paradise. 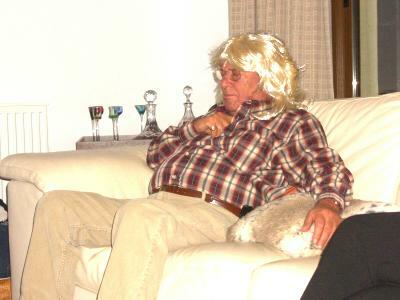 A visit to some friends house at the weekend, they were clients, but have now become good friends. 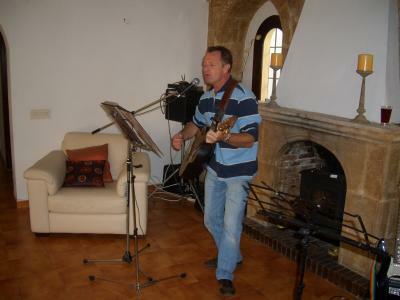 We were celebrating two birthdays and a bbq and a jamming session was the order of the day. 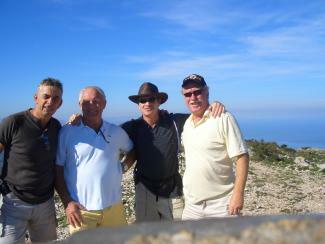 Warm, sunny weather greeted us on the 3rd December in Javea. We started eating some great garlic chicken wings, pork fillets and a home made paella, accompanied by sweet sauce and salad to add that special extra. All prepared and cooked by our hosts. 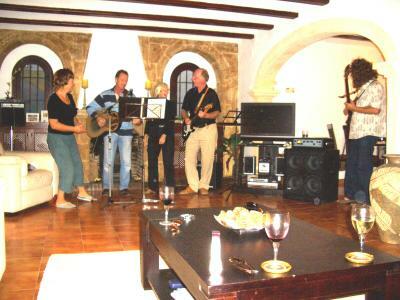 The lads have all played guitar, on and off over the years, so we decided to have a bash altogether. Ant warmed up the crowd with some great solo’s playing Bowie, Paul Weller and some Oasis. 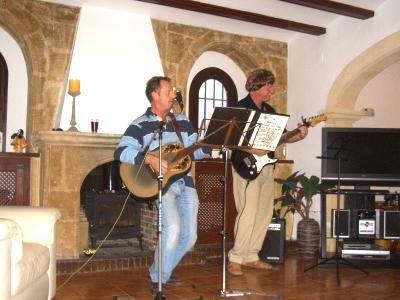 Ant is excellent on vocals and guitar, Steve on lead a bit rusty and Ian on bass, had to struggle with the keys we were playing in. He managed very well, considering it was his first time that he had played any of the songs before. 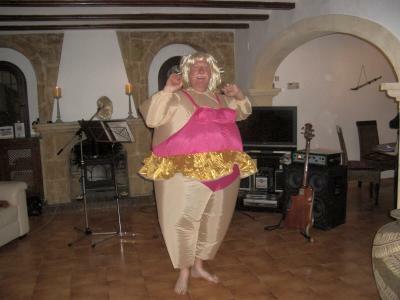 The girls wore wigs and danced and sang chorus, guest singer was Diane and a ballet dancing queen entered the room and performed the Dance of the Butterflies. .
Gerry really going for it! Great food, fun and great company! 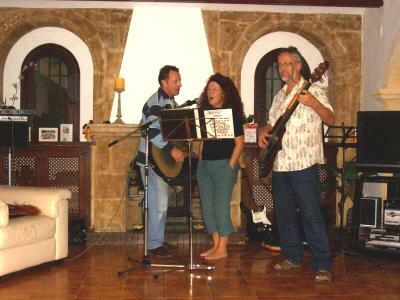 Have a comment on Javea Music? 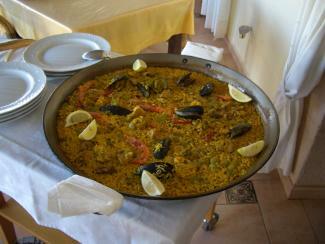 During the summer months in Javea, it is wise to stay close to a pool, the sea and a cold beer. Once the warm days of October and November had settled in, we decided to ascend the Montgo mountain for the third time in 20 years. It proved a harder challenge than we remembered. 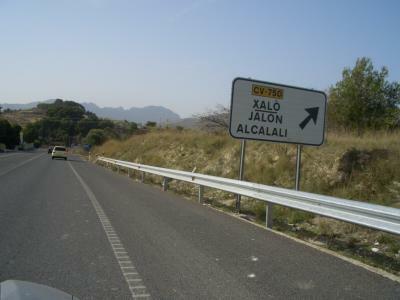 Setting off from the Javea to Denia road, drive from Javea up the winding road and when it levels at the top of La Plana and you can see a lane to your left. Drive a few hundred metres and park the car. 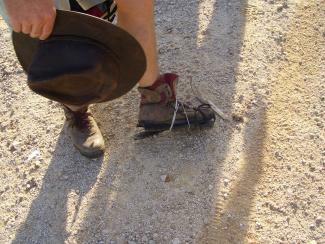 We were well equipped with good walking shoes, lots of water, a chicken sandwich and a banana. 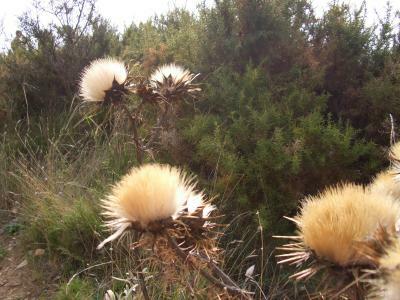 I joked and proceeded to load rope and tackle and a few spikes and a shovel onto my back, this was met with a surprise from our climbing companions and quickly turned to laughter, as I told them in was a gentle climb, needing only good walking shoes and plenty of water. 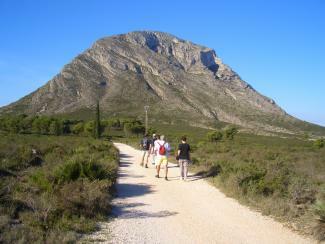 We started the walk along a gravel path leading to the base of El Montgo. We named this base camp one. The path soon turns into a stony, rocky surface which could easily snap an ankle or break a leg. 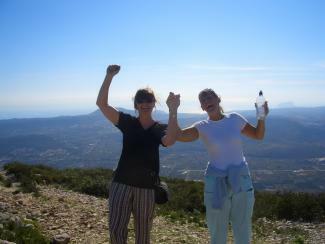 We were very careful to watch every step and stopped to catch our breaths and to admire the views towards Denia and the bay of Javea. After around an hour of zig zag climbing, the walk bears south around the trunk of Montgo and starts to turn into a scramble across large rocks and narrow foot holds, using our arms to balance. 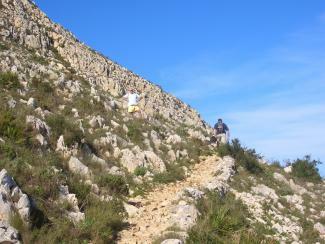 Another 30 minutes climbing and you reach the 753 metre summit. All the way up we were blessed with warm breezes and the views just got better. 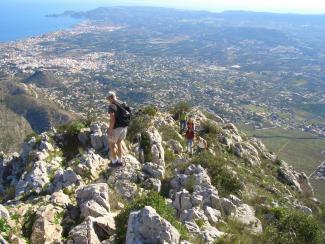 At the summit we could see Denia and north to Valencia, west out to sea and south Javea, Gata and Pedreguer. 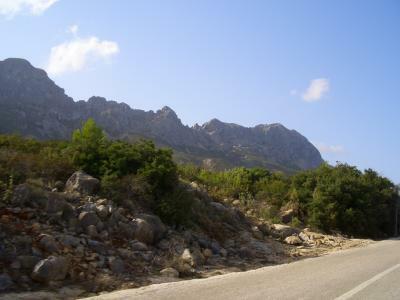 The Penon de Ifach and the Las Sierra Bernia mountain range stretched further south. We stood on the peak for 15 minutes, just being amazed at the views, lots of photos and a repair to Anthony’s boots, which had decided to loose the soles, we prepared for the easier decent. We still had to watch every step on the way down, but it was a lot less work coming down. The knees and backs of some of the party, started to take the strain and started to ache. 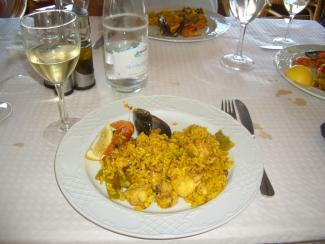 The thought of a cool drink and the paella mixta, that we had preordered at the Amanecer restaurant, kept us all going. Except our tired legs, a few blisters and soleless boots we made it safely back to the cars. 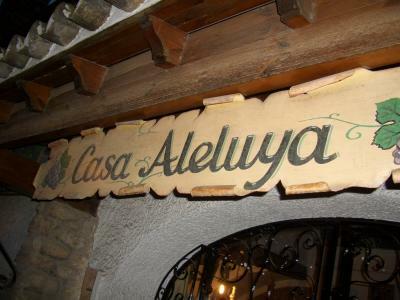 Within five minutes we were seated in the restaurant and the drinks appeared, bread and alioli and a fresh salad were consumed rapidly. 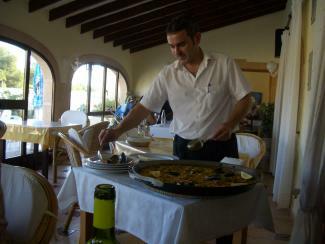 The paella was marvelous and had lots of flavour, it was a little short of content and could have included green beans, butter beans and a little more chicken, but it still tasted excellent washed down with cool white wine and agua con gas. Needless to say it was a great day out and another one they can’t take away from us, whoever they are. 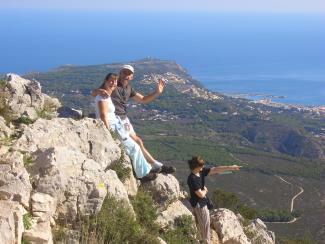 Have a comment on Javea, El Montgo. A walk on the wild side? 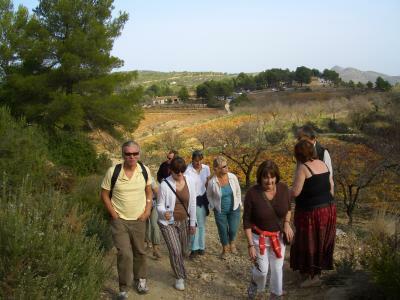 A gentle stroll is the best way to describe our afternoon walk, upwards and onwards to the west ridge of the Sierra Bernia mountain range, just north of the famous coastal town of Benidorm. 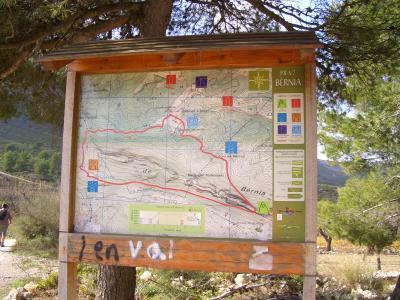 Drive from Javea to Benissa, travel up the main street, through the town and at the top of the hill take the right hand turn off, CV 750. At the next T junction, turn right then first left. 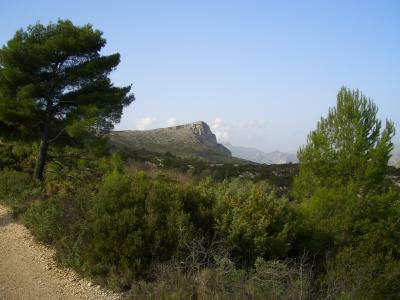 Its a 20 minute drive to the start of the walk, travelling up the winding road, with views on your left down towards Calpe and the Penon de Ifach. 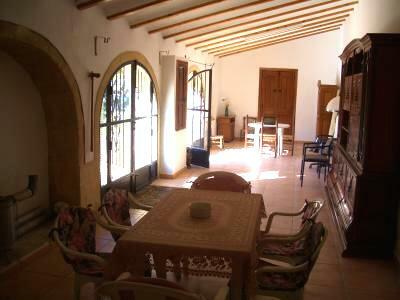 Parking is easy, by the old building, Casa Fabian, situated on your left. There are plenty of shady areas to park your car, which is essential on a hot sunny day. We picked a warm, November afternoon, which was forecasted light rain, but we were lucky and it turn out to be sunny and only slightly misty at the top. There is a sign at the start of the walk which you can take an 8 kilometre circular route that takes you through a tunnel to the east of the ridge and back around to the old fort. We had decided to head west and do a gentle climb to the fort and back down the same way, which would take us about 3 hours. 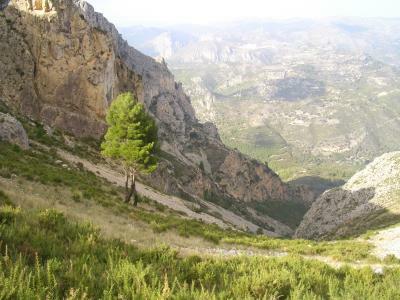 The views are just as dramatic on this route, also the path is easy under foot, unlike the El Montgo assent, which we walked three weeks ago. 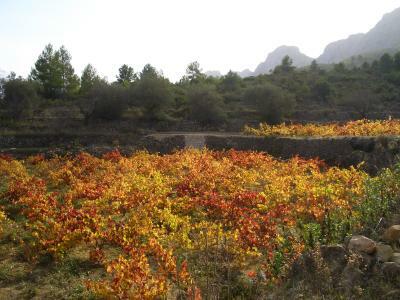 The grape vine leaves are changing into their Autumn colours of browns, bronzes and yellows, highlighted through the sunlight. 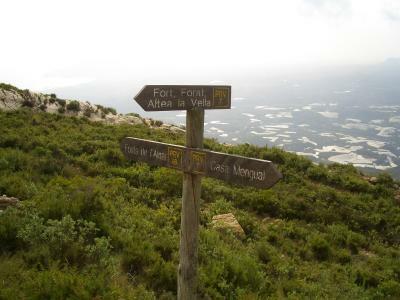 After 35 minutes the track narrows and bears to the left and the villages of Tarbena, Polop are clearly seen in the distance. The temperature was perfect for walking and the forecast for rain didn’t happen. 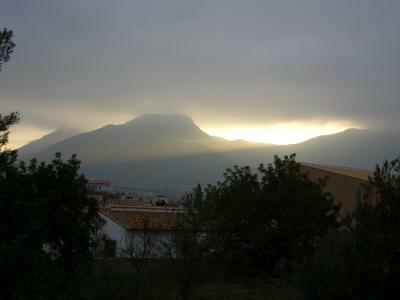 The sun was shining and at the peak the clouds and mists rolled in. 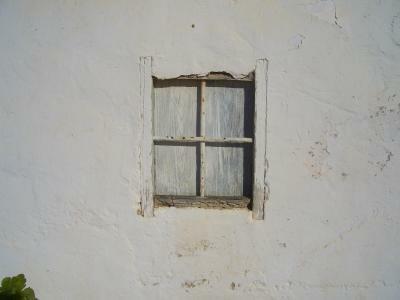 The old fort was abandoned, due to lack of the enemy bothering to climb the Sierra and invade the fort, so it became redundant. 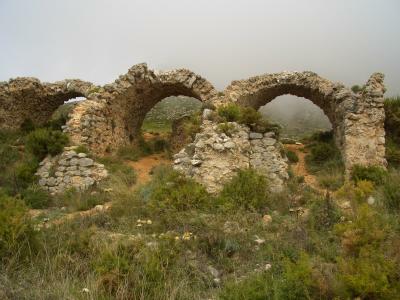 Stone arches and ruins are clearly visible and there are some information plaques that explain the forts layout. 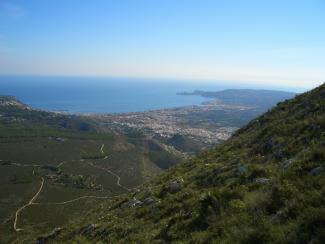 Its a good place to sit and have a drink and look down towards Altea and the Benidorm skyline. There were some lambs in the distance marinating themselves, on the wild thyme and rosemary herbs that grow across the slopes. The stroll back was easy, down hill and by now the sun was behind the summit, providing shade. 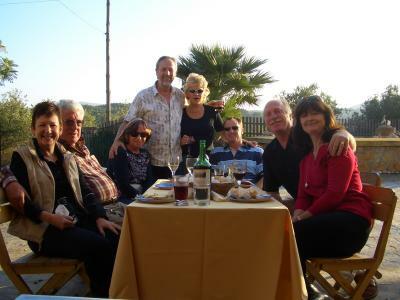 A quick drink in the Casa Fabian, then we got back in our cars, to meet some more friends, waiting in the Restaurante Pepe’s, in Alcalali. Roast pork with crackling was ordered for 6 people and the others dined on Pepe’s wonderful, steak, mushroom and kidney pie. 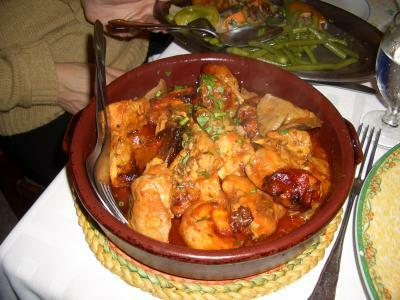 Others, had the lamb which was tender and you could taste those herbs. Plenty of the three wines, red, rose and white were washed down with our fine fare. 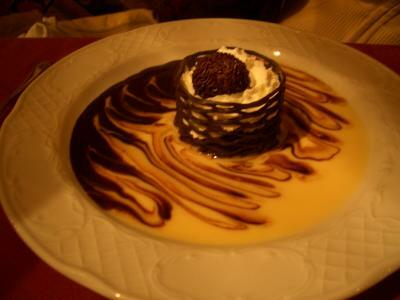 Desserts were excellently presented to those that had enough room. So, until the next time, that’s another one, they can’t take away from us! 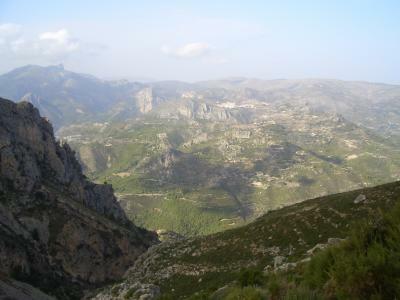 Have a comment on Sierra Bernia? 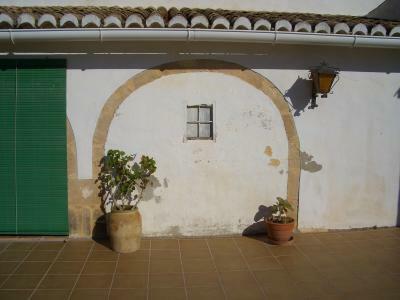 If you fancy a inland country drive from Javea to the village of Jalon, take the third turn left off the main street and travel up the mountain roads until you see a large, old property on your left. You have reached the VerdiVent restaurant and you are in for a real hearty luncheon treat. 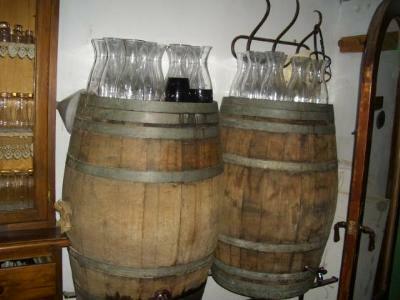 Verdi Vents Restaurant, Maserof. 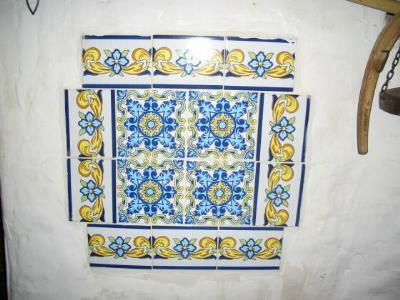 Telephone 00 34 96597 3413. 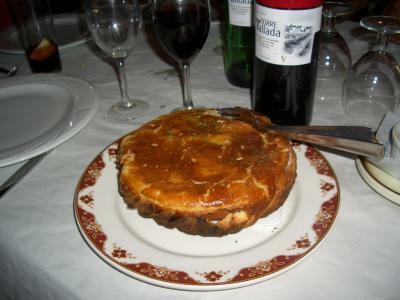 Once you are seated with jugs of red wine already placed on the table, you are presented with bowls of a potato dish, mixed with chives, lavender and herbs. also large loaves of freshly baked bread. Next two large serving bowls of a creamy white soup, that had us all guessing what the ingredients were, it was delicious and we were told that it was lettuce! 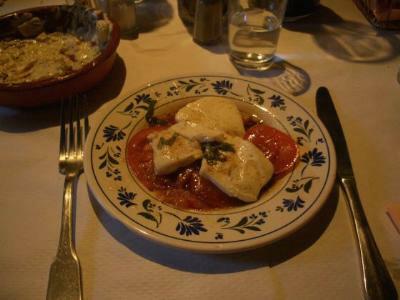 A short break and plates of oil covered tomatoes and mozzarella cheese were placed on the table. 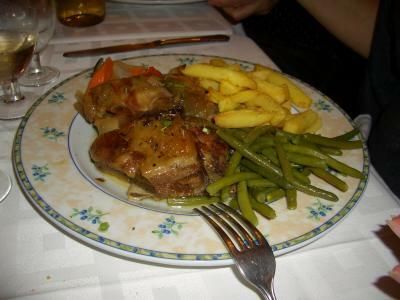 Main course was a choice of lamb on the bone with a moscatel sauce or venison in a red wine sauce. Nine of us chose the venison and it was fantastic. 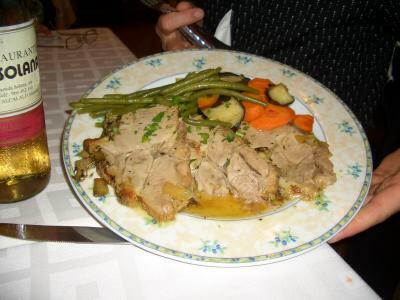 The lamb was also excellent. 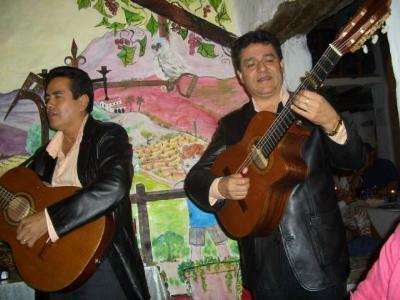 The sound of guitars filled the air and the popular brothers, from the area, sang and played our favourite Spanish melodies. The whole day was a wonderful experience,a delightful meal and one that we shall remember for the rest of our lives, or at least a until the next time. 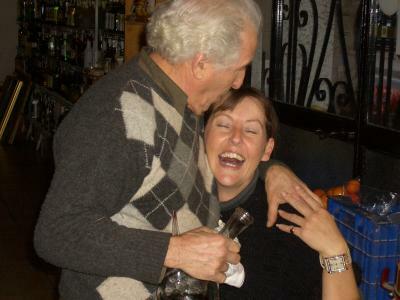 Have a comment on Verdi Vent Restaurant, Maserof? 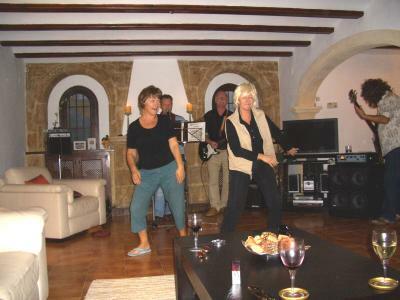 Anyone that hasn’t seen this display of light, costumes and culture, must visit Javea. 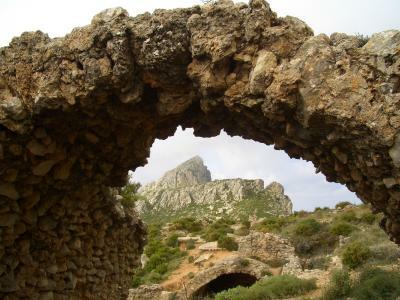 In the last week of July, the festivities of Moors and Christians are held in the Javea Port. Their celebration is relatively recent, but important in the region. These festivities represent the confrontations in the past between these two religious communities. The Christian re-conquest of the land held by the Arabs is commemorated. 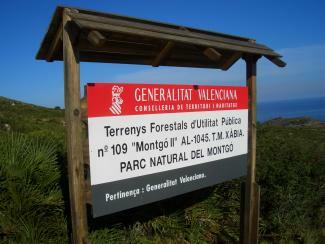 These festivities are among the most noteworthy, for their spectacular nature. Have a comment on Moors and Christians?